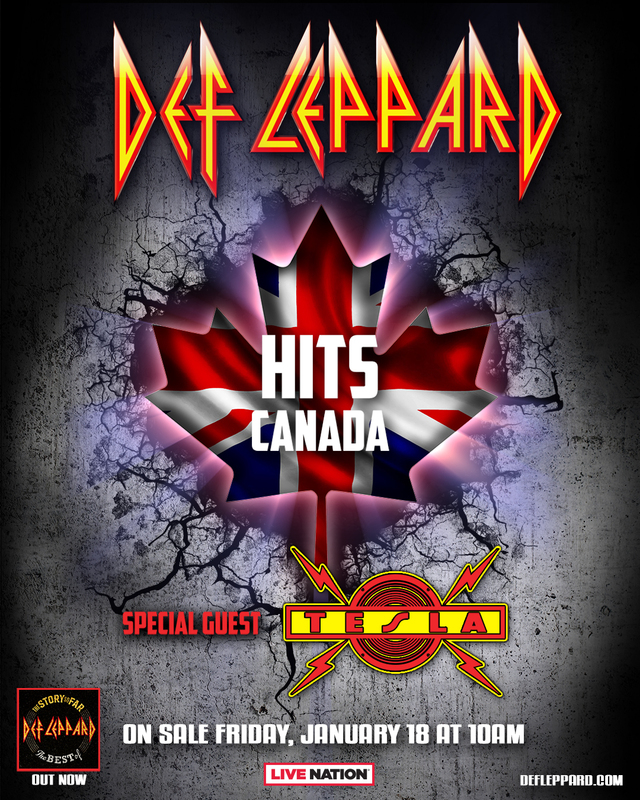 Invading the great white north 🇨🇦 Def Leppard hits Canada this summer with our friends Tesla! Legendary British rock ‘n’ roll icons Def Leppard announce Canadian Summer Tour. The tour will kick off in Halifax on July 12 and end in Calgary on July 31. See full routing below. Critically acclaimed iconic Sacramento melodic hard rock quintet, TESLA will be joining the band on tour. It was recently announced that Def Leppard will be inducted into the Rock & Roll Hall of Fame®. The band will be inducted into the 2019 Performer Category alongside The Cure, Janet Jackson, Stevie Nicks, Radiohead, Roxy Music and The Zombies. Presented by Klipsch Audio, the 2019 Rock & Roll Hall of Fame® Induction Ceremony will take place on March 29, 2019 in Brooklyn, NY at Barclays Center. Following the close of their historic 2018 co-headline stadium and arena run in North America, Def Leppard sold a staggering 1,000,000 tickets and the tour grossed over $100,000,000.00, a massive feat in today’s touring world. As always, the group keep pushing forward with their electrifying live shows that have transcended the test of time.